Volume 104 of Chess Informant continues the tradition to be a collection of everything that contributes to the development of the game of chess. A selection of the games of the 52 top players from the FIDE rating list (October 2008) is the core content of Volume 104. There are also many games of other players who were or will be among the top players, as well as fragments which bring important theoretical novelties, interesting and instructive combinations as well as endings, all saved from obscurity in volume 104. This volume brings together selection of 619 annotated games (299 full games and 320 game fragments from September - December 2008, featuring games from Bilbao, China - Russia (m), Russia (ch), Kallithea, Kramnik - Anand (wch), Cap d'Agde (rapid), Dresden (ol), Nanjing, Elista, Pamplona, Reggio Emilia. This volume also brings the voting for the ten best games and the ten most important theoretical novelties from Chess Informant 103, theoretical survey in ECO format,the most interesting combinations and endings from recent tournament practice, studies, tournament standings and crosstables, and the creative output of Alexander Khalifman. 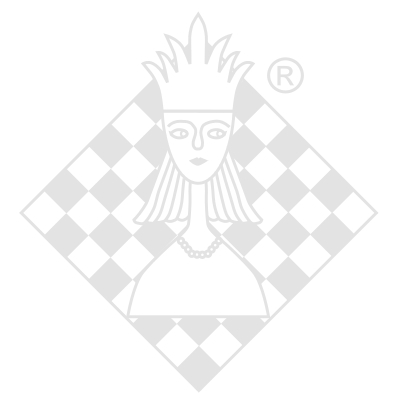 We introduced a new column Modern Chess Theory where the most popular lines such as B 33, B 12, D 12 and D 17 are presented. CD Chess Informant 104 includes a free supplement of Chess Informant 103 in PGN format (games without annotations).